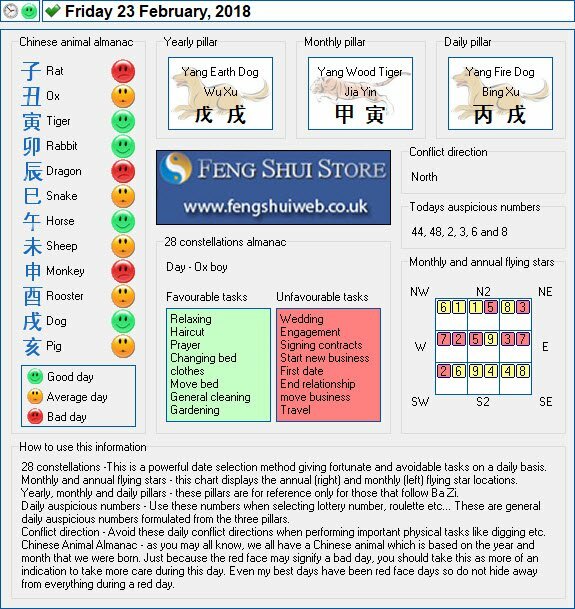 Here is the Free Feng Shui Tong Shu Almanac for Friday 23rd February 2018.
if i buy your almanac software, when does use start? from the time you receive it or from chinese new year? This starts from when you activate the software.